Bluehost gives users an intuitive, easy-to-use control panel with extremely cost-effective pricing and a variety of hosting options. Bluehost offers a wide range of plans designed to support every user, from first-time bloggers to major enterprises. The 3 central plans, however, cater to beginners, regular bloggers, and SMBs respectively. All plans come with a free domain for a year, and unlimited bandwidth. And if you already have a domain name purchased from a different registrar, Bluehost domain transfers are easy to initiate and confirm. While Bluehost offers some of the cheapest hosting plans among the major providers, the rates you see displayed on the homepage are discounted “first month” rates. 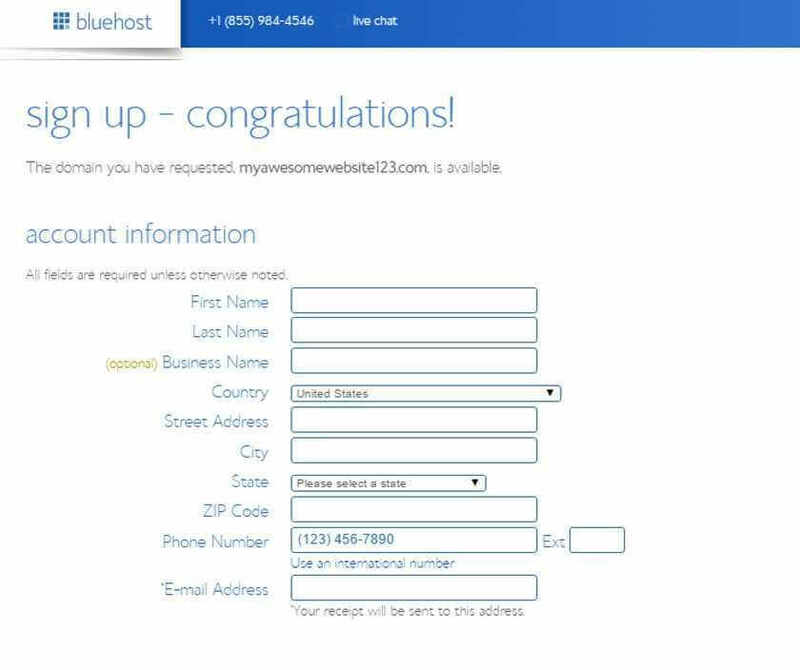 Following your first month of use, Bluehost hosting plans will cost a few dollars more. 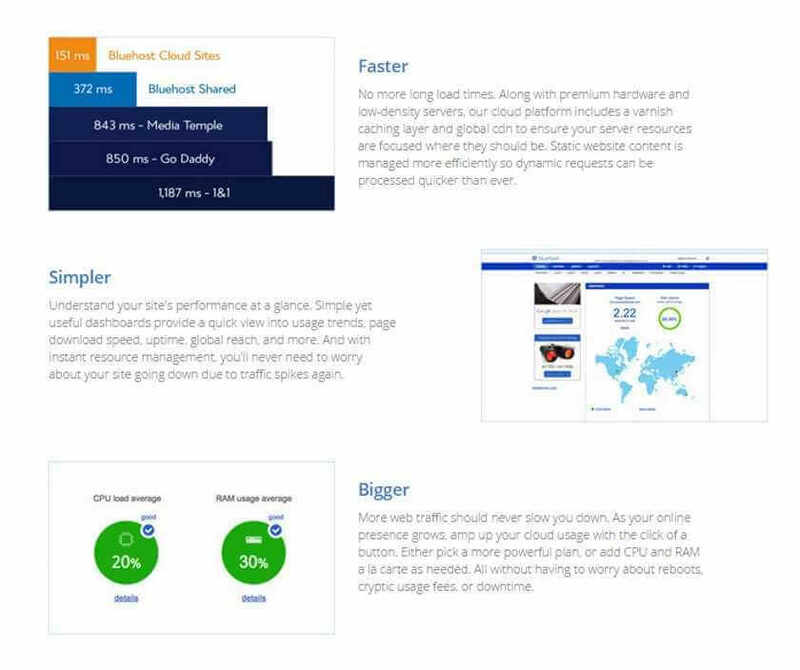 When you're ready for a bit of an upgrade, Bluehost’s most popular plan—Plus—is a good step up. Featuring $200 in free marketing offers, unlimited email accounts, unmetered space and storage, unlimited parked- and sub-domains—this is a fully-rounded package suitable for small businesses and organizations with moderate needs. With Global CDN and SpamExpert included, this is a strong plan with plenty of room for users to grow an impressive, and active, online presence. With VPS hosting ranging from $29.99 per month to $199.99 per month, and dedicated hosting options spanning from $119.99 to $209.99 depending on your choice of package, Bluehost offers high quality services to customers with more intensive demands and specialist requirements. As of February 2019, Bluehost has a new service called Blue Spark to help users with the tools and functionalities of Wordpress. 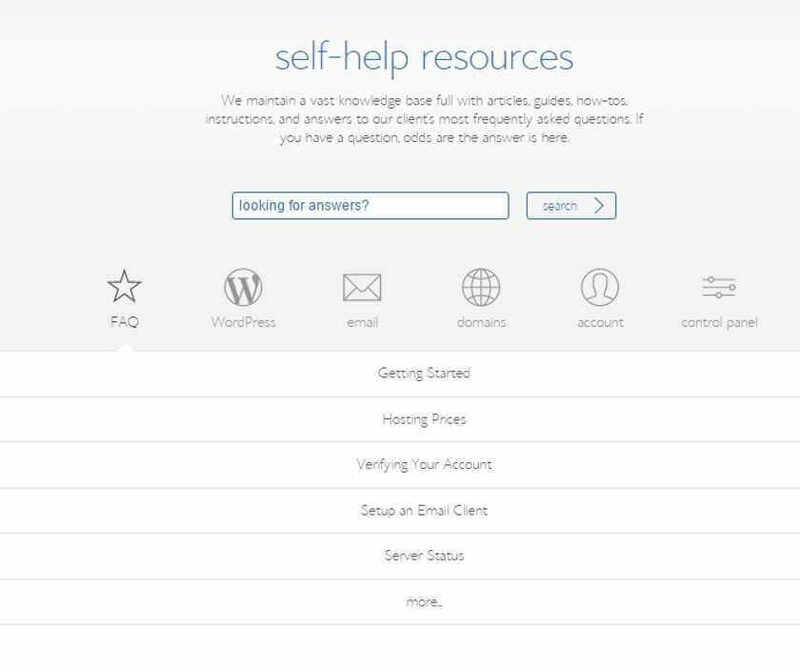 Bluehost's Blue Spark service is powered by a team of Wordpress experts available to assist with everything from getting started with WordPress, to installing plugins, to account access/navigation, to initial setup questions. With good customer support, a blissfully simple cPanel, a great range of options to suit users of all stripes, and very cost-competitive options, Bluehost is a really strong competitor in the field of Web hosting and a great choice for most users. Downtime and page-load speeds are not always what they could be, but with flexible options and good feedback, it's easy to overlook this infrequent glitch if your site doesn't need to be super-fast. If you're looking for a good all-around host, Bluehost is a great option and offers a 30-day money-back guarantee if you're not happy. So why not give it a go? Bluehost web hosting has been around since 1996 and has established itself as a reliable and long-standing force in the industry. With 3 core packages, plus VPS and dedicated hosting available to those with more substantial and technical hosting needs, this host offers a full service, designed to be clean and simple to use.